Home » Finding a BJJ School » Do BJJ instructors have to be black belts? Nope. Brazilian Jiu-Jitsu instructors do not have to be black belts. A great many of them are, but there are plenty of lower ranked jiu-jiteiros teaching classes around the world, and some of them even run schools. As much as we would prefer to have black belts running every class, the sport has not grown to the point where that is possible. Though Los Angeles might have a large and growing population of black belts, some other parts of the world are lucky if they have a blue belt in the area. If you live in a place where you can choose between six or seven jiu-jitsu schools, paying to take classes from a blue belt might sound absurd. For others though, a blue belt is a blessing. At the same time, even if a black belt is the head instructor, it is not unusual for lower belts to teach regularly or to cover classes. Many of them are quite good as well. 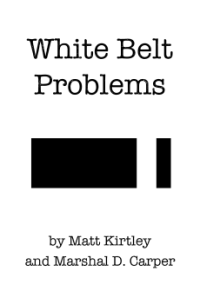 If you are a white belt, you have plenty to learn from a thoughtful blue or purple belt or brown belt, so don’t worry too much about the color around the waist, especially if black belts are in short supply.